A guy calls up the car service hotline and asks for help with his car. Well the car works perfectly in the daytime, but it refuses to drive at night. The lady on the customer service line is baffled. – During the daytime, I just put the car into “daytime” (D) mode, and it drives fine. – But then at night, I put it into the “nighttime” (N) mode, and it doesn’t move. 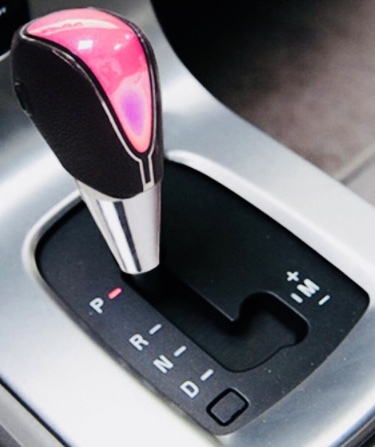 – What’s worse yet, when another car tried to jump ahead of him, he puts the transmission into “race” (R) mode, and he ends up hitting the car behind him! At this point, the customer service representative is completely cracking up laughing. 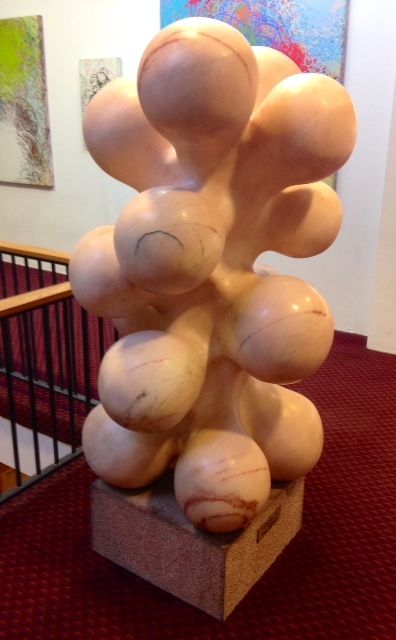 I saw this in a doctor’s office and thought it was very educational on Cancer. 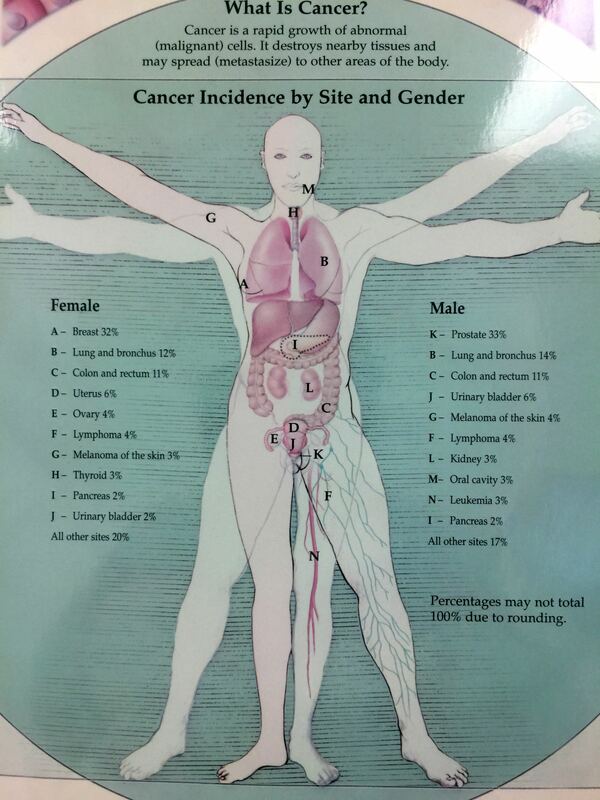 The first diagram has a brief definition of cancer and the incidence of cancer type for males and females. 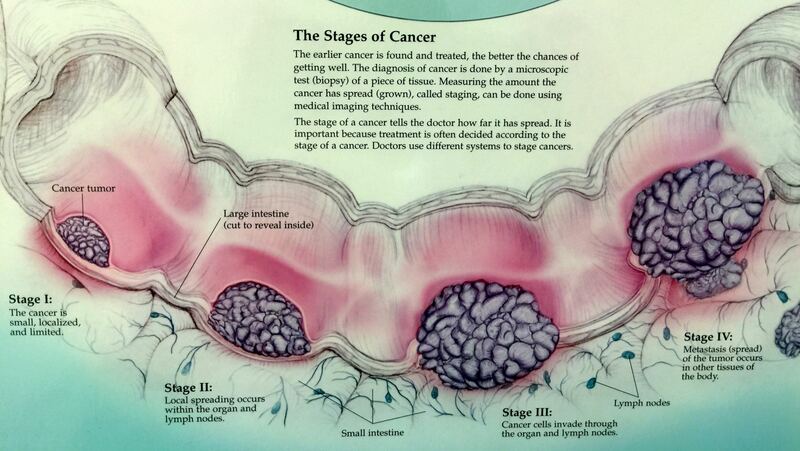 The second explains the stages of cancer, I through IV, and is shown in the small intestine, as an example. This stuff is so scary and horrible. The “C” word…we should never hear it, say it, or know from it anymore! G-d should help us find a cure to rid this world of this disease. Save us from that which afflicts us, and send us a complete healing of body, mind, and soul, Amen!!! So the new Apple Watch promises to monitor our every virtual health status as technology and person blend to become one. However, the question raised in the New York Times is whether this level of continuous monitoring is really all that necessary? But how can more data hurt you? – Data sometimes outstrips our ability to understand it: So collecting more and more data may actually end up concealing the needle in the haystack, rather than culling the crucial piece of evidence we need for a diagnosis and treatment. – Obsessive-compulsive monitoring may actually stress us out: “If you were dieting would stepping on the scale 1,000 times a day help you lose weight?” Perhaps, the stress of monitoring every stat we generate may actually make us sick from fear and worry. The point is that as they say, “there can be too much of a good thing”–monitoring and checking is helpful, but not every minute of every day without some intelligent filtering and analysis. Perhaps, the technology will evolve to wear the monitoring is unobtrusive and where the artificial intelligence is there to more or less accurately decipher true warning signs from run of the mill changes in bodily functions, and where data is aggregated to get a holistic picture and diagnosis of the person rather than a snapshot of individual functions. No one can live under a microscope and making ourselves sick with an endless stream of health tracking and worries is not helpful. Great new medical examination device from Tyto Care. Handheld, mobile, cloud-based solution for performing a basic medical examination, anywhere–either remotely guided by an online physician or using the 3D avatar on the device itself for conducting a self-examination. The device looks like the one in the doctors office that checks your ears, but it also has sensors to listen to your heart and lungs, and for viewing your eyes, throat, and skin, and for taking your temperature. The results can be read by the end-user or sent to a physician for review and diagnosis. When your not feeling well or aren’t sure what’s wrong–isn’t great to have the convenience to have your vitals checked from wherever you are and the self-sufficiency to even get and see your own basic medical stats. In a time where we are under more stress to get adequate medical care due to families made up of dual working parents, jobs that are 24/7, and a declining ratio of medical professionals to patients–the Tyto seems like a breakthrough that can help us get checked and get help, anytime and place. The Wall Street Journal has a fascinating interview today with Elizabeth Holmes, the founder of a new company that has rethought how we do blood work for medical diagnosis. Her company, Theranos, has certified phlebotomists for taking patient’s blood, but instead of taking vials and vials of blood, they just take a pinprick worth–1/1,000 of a typical draw–from the tip of your finger. Moreover, unlike with conventional blood work testing, “only about 62% of tests that doctors order are ultimately carried out,”partially because there is still not enough blood drawn, but with Theranos the tests are able to be done with only small drop sample sizes. With advanced, patented technology, Theranos does the tests (blood, urine, other) faster–in 4 hours or less, rather than in days, so you, the patient, can get the results quicker, and treatment for your condition sooner. Moreover the results are said to be more precise to within a 10% variation–in contrast to typical labs tests that are within plus-or-minus 30% allowable error–a 60% error range! With faster and better technology, Theranos helps your doctor to make a more accurate diagnosis and provide targeted treatment. The testing results are provided securely and electronically to the doctors in this very cool dashboard (pictured above) in which blood measurements can be quickly and easily seen on a scale of low-to-high, as well as whether something is deficient, insufficient, or at toxic levels. Also, Theranos provides trending of results over time, so the physician can quickly see whether the patient’s condition is worsening or improving, and can make treatment decisions accordingly. And when the doctor releases the results, you’ll be able to logon and see them for yourself as well. I really like when someone bold and bright like Elizabeth Holmes comes around and breaks the old broken paradigms–really rethinking how something could/should be done better. In general, it often seems that the medical field is change/risk adverse (like with adoption of electronic health records), but Ms. Holmes has brought a better, faster, and cheaper testing and diagnostic process to all of us. I noticed that Theranos has a very impressive roster on it’s board, including former Secretary of States Henry Kissinger and George Schultz and former Secretary of Defense, William J. Perry to name just a few. Theranos seems to be the company to watch in this medical diagnostic laboratory field. A few years ago, researchers found that Dogs could actually identify people with cancer at a 99% accuracy rate by simply smelling human’s breath. One of the problems with this diagnostic method though is that hospitals and doctors offices have not been inclined to house and care for these animals in medical facilities treating people. The Metabolomx is a computing machine with attached breathing tube that can be rolled over to a patient who breathes into it for just 4 minutes to can get a diagnose on the spot. This is very different from current methods and is without painful and intrusive tests (such as biopsies) or waiting weeks for lab results to come back and be read by your doctor. The machine captures and analyzes the chemistry of the person’s exhaled breath in the form of aerosolized molecules and determines it’s “smell signature”. According to Bloomberg BusinessWeek (5-11 March 2012), by comparing the sample smell to the biomarkers for cancer, the Metabolomx has already achieved an 80% success ratefor detecting lung cancer. A newer version of the machine is 100 to 1,000 times more sensitive, which should greatly improve accuracy, hopefully hitting at or above 93%, which will make it viable for commercial use. The Metabolomx is envisioned be able to detect and differentiate between various types of cancer such as lung, breast, colon, and more. Moreover, this technology is not limited to just cancer–but other companies such as Menssana are testing it with tuberculosis and pediatric asthma. Further, another benefit of the Metabolonx is that is can not only be used to diagnose cancer, but to signal reduction or elimination of the cancer with various treatments. I hope the next step for technology like the Metabolomx is to not only detect the cancer, but be able to “zap it” and rid it from our bodies–then we’ll have a technology that can really snuff out the cancer.